"What Shall We Die For?" 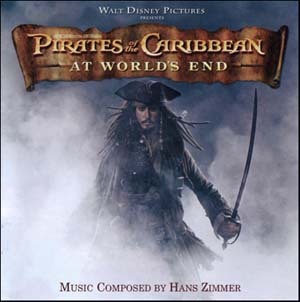 In a post not to long ago I talked about how one of my favorite scenes of the whole movie was when the Black Pearl charges into battle agains the Flying Dutchman at the end of Pirates of the Caribbean: At World's End. One of them ain reasons I love this scene is the super epic music, titled "What Shall We Die For" and "I Don't Think Now Is The Best Time". Now I'm going to discuss the cirumstances leading up to that scene. So, we've got Beckett ,who is supported the East India Trading Company, and who wants to end piracy throughout the world once and for all. He is attempting to accomplish this goal with the help of a pirate, Davy JOnes, (rather confusing). Jones isn't helping him because he wants to though. Jones is too heartless (figuratively and literally) to do such a thing. He has to because Beckett has his heart and therefor controls the Dutchman. Pretty scary. So all the pirate lords throughout the world team up against him. They agree to hold a meeting at Shipwreck Cove, where all the Brethren Court councils have alwasy been held. Of course, if Beckett wants to eliminate piracy throughout the world, it would be a lot easier to do so if he could just get all the piarates together and kill them at the same time. Of course, he'd need quite a fleet but it would still be a lot easier to do than hunting down every single pirate and killing them seprately. So the meeting at the Brethren Court provides the perfect opportunity. But like most pirate locations in the pirate world, it's hidden and hard to find unless you know where it is. So it's actually Will Turner who leads Beckett to the secret meeting in hopes that it will somehow gain freedom for his father. Meanwihle, back at the actually meeting, one of the pirate lords can think of a solution as to what to do about the grwoing threat. They only become more frantically confused when they were that the EITC armada is actually outside the city waiting to destroy them Jack and Elizabeth try to get them all to fight. Eventually, Jack elects Elizabeth "king" of the Brethren court, so she declares war on the armada. They brace themselves for war and sail out to face thier enemes. However, the armada is a bit bigger than any of them expected, so they try to negotiate something instead. 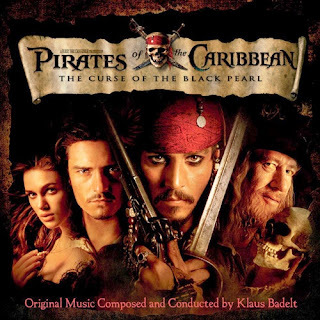 They call a parlay between Bekcett, Jones, Will, Jack, Barbossa, and Elizabeth. this parlay doens't accomplish much though accept that Jack returns with Beckett and Jones while Will goes back to the pirates with Elizabeth and Barbossa. I'm not so sure why they dida ll that for a little trade, because in the end, King Elizaeth just resolves to fighting the huge armada anyways. 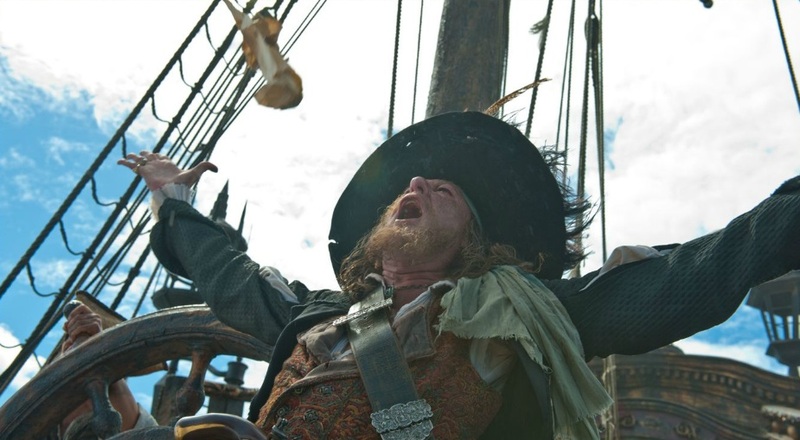 Barbossa tries one little trtick before plunging into war though. He releases the sea goddess, Calypso, who was trapped in her earthly form as Tia Dalma. Since it was originally Jones who told the Brethren how to trap her in the first place, Barbbossa hoped that she would help them out in defeating him. But it doesn't look so favorabel for them, so a lot of the pirates begin to loose hope. They want to be cowards and just surrender before any of them die. However, Elizabeth won't let this happen. She conducts this pretty impressive and pursuasive speech to give them the encouragement to fight. That's when "What Shall We Die For" plays. It's so epic because all the pirates of all around the world get worked up and agree to take down this armada. It's pretty scary: to have hundreds of pirates chanting and going after you. So despite the odds being incredicly against them, the Black Pearl, captained by Barbossa at the moment, leads the Brethren court into battle. "You Have Been Monstrously Deceived"
Unelss I am mistaken, I'm not sure if we ever really know what Jack beleives about Blackbeard. Obviously, once he actually sees Blackbeard and all of his wrath, he understands that he is in fact the leader of the ship they are on. However, he has some doubts up to that point that are rather hard to follow, but Jack has always been kind of like that. You never really know what's going on in that noggin of his. When he waks up on the Queen Anne's Revenge, it's Scrum, a fellow crew member, who informs him of the ship that he is now working on. 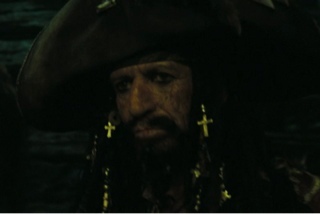 Scrum: "'Scuse me, Captain Sparrow, sir. I be right honored to welcome you aboard our world-renowned vessel of infamy—Queen Anne's Revenge." 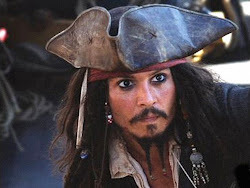 Jack, being a pirate from the inside out, and being any sailor really during that time period, knows what infamous captain sails the Queen Anne's Revenge. He gives Scrum this super scary and strange face. The camera zooms in on his face as he growls: "Blackbeard." But then he seems to be rather confused about the whole thing, especially when it comes to his relationship with Angelica. Is he or isn't he his daughter? Angelica: "Long-lost. Recently found. Who loves her dear papa with all her soul." She gives hikm this cutesy little shrug. It's too innocent that you think she's lying. Jack: "He bought that?" Angelica: "I sold that." But he still hasn't actually seen the captain out on deck yet. So Jack calls a super top secret meeting with all the other men to discuss this supposedly ruthless captain of theirs. In a deleted scene (which you should totally search up and watch on YouTube), it shows Jack spreading the news throughout the crew. They all wisper "tonight" to eachother. Eventually, a crew member goes to Jack and wispers "tonight", which is ironic because it was Jack who started it all in the first place! Jack: "Onto it then! Blackbeard. What are his habits?" Scrum: "Stays mostly to his cabin." Everyone mumbles their agreement. Jack: "Yes, but when he comes out . . ." Crew member: "He don't really come out." More concurring mumbling. Jack: "He has to come out sometime?" The same response from everyone: he doesn't come out. 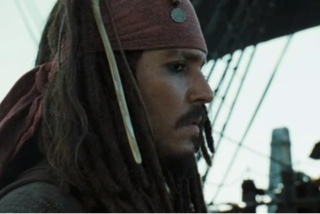 Jack: "Any of you sail with him before?" No's echo throughout the group. Jack is getting pretty impatient: "Any of you seen him before." Crew: "Not really, no." 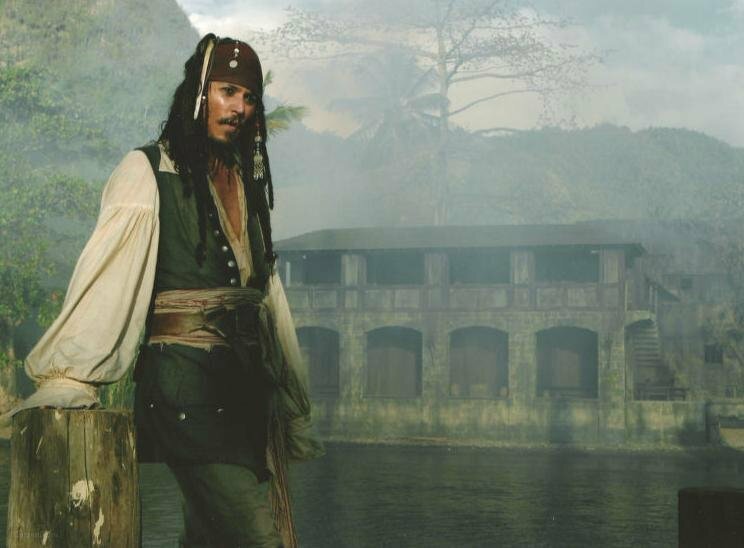 Jack: "Stays to his cabin, no one sailed with him, no one's seen him . . . Good news, gentlemen! This is not Blackbeard's ship. This is no the Queen Anne's Revenge." Now, does Jack really bleive what he is saying? Does he actually think that the whole Blackbeard thing is just Angelica's hoax? Scrum: "No, this be the Queen Anne's Revenge, right enough." Jack: "How do you know?" Scrum: "I've seen the name, on the back of the ship." Scrum is not the smartest of Jack's companions. He's rather gullible. Jack: "Gentlemen, sirs, fellow conscriptees. . . you have been monstrously deceived." Crew member: "We are decepted then?" Jack just gives him a disapointed look and rolls his eyes. Jack: "Yes." 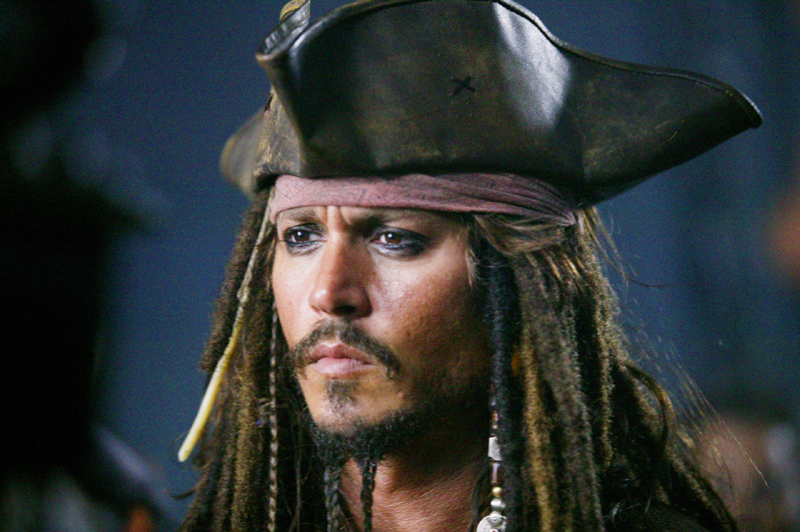 He then scares them with tales of the Fountain of Youth and gets them to rise up against Angelica and her zombie crew so that they can actually sail under Captian Jack Sparrow, which they were promised to in the beginning. Jack: "Unless, we take the ship." Scrum jumps right onto that. He stands up, staps his sword into the table, and screams: "WE TAKE THE SHIP, THEN. NOW!" Jack just looks at him like he's crazy. Scrum runs off. Jack looks at everyon else, and then shoes them away: "Go on, then." They grabs swords, wake up the other crew members, and storm out of there. 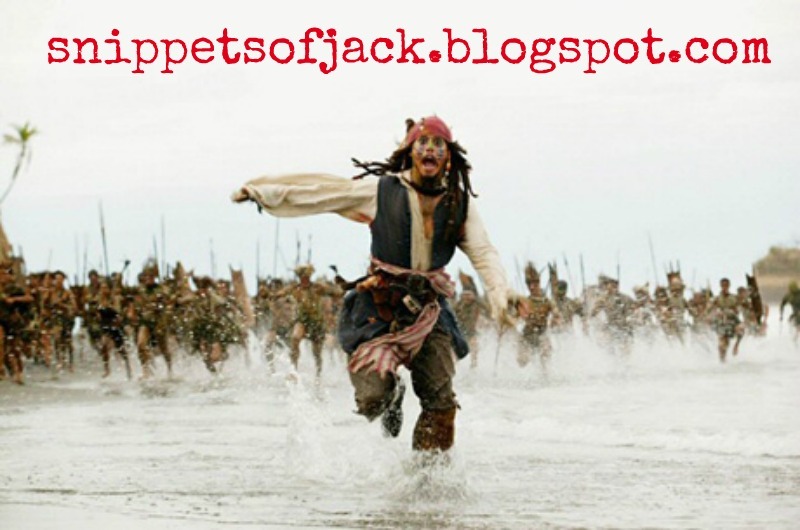 Although it was Jack's idea, it doesn't seem like he's to fast to get out there and fight. 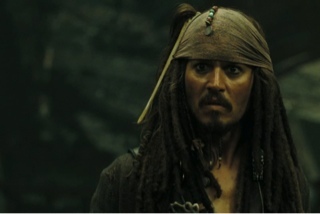 He does take down some zombies, but I don't think he ever doubted whether Blackbeard was on the ship or not. He planned to just use this mutiny as a way to find out: to actually get Blackbeard off his lazy but and discuss the Fountain with him. Clever, huh? 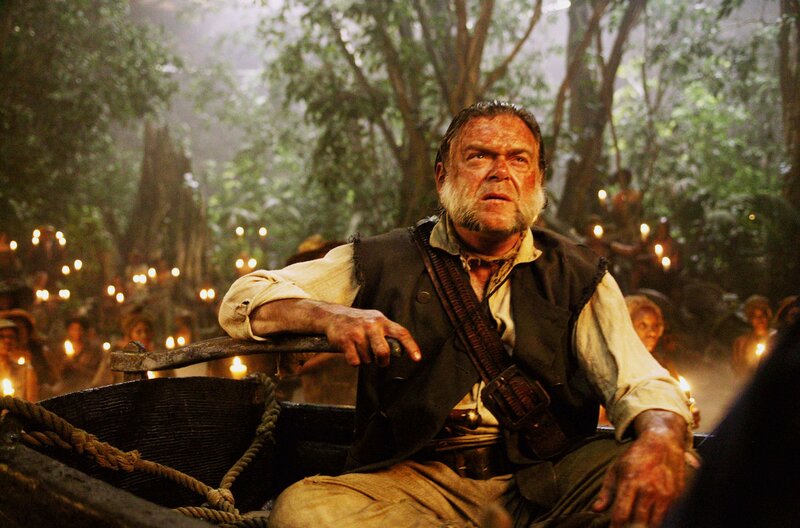 "You and Your Fiancee Face the Hangmans Noose"
So now we find ourselves in the next installment of PotC where we are inroduced to Cutler Beckett. He doesn't make a very good first impression when he barges in and tells us he wants to kill the main characters. But after more explaining we learn he really wants the main characters to find the other main characters so he can rule the EITC. Soldier: " Lord Beckett, the prisoner as ordered, sir." Beckett: " Those won't be necessary." The first kind thing we hear from Beckett. So exciting. Oh and now Will can use his hands! Beckett: " The East India Trading Company has need of your services. [Beckett offers Will a drink but Will ignores him. awkward.] 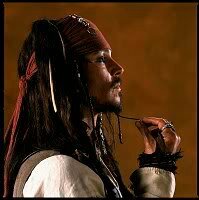 We wish for you to act as our agent in a business transacton with our mutual friend, Captain Sparrow." Will: "More acquaintance than friend. How do you know him?" LIES, HE IS YOUR BFF!!! Beckett: "We've had dealings in the past. And we've each left our mark on the other." If you don't know what he's talking about read the Price of Freedom. Will: "What mark did he leave on you?" Beckett ignores him back. looks like their even. 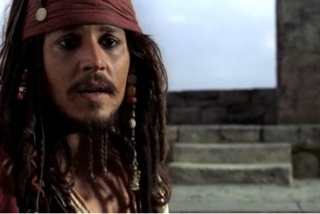 Beckett: "By your efforts Jack Sparrow was set free. I would like you to go to him and recover a certain property in his possession." Will: "Recover. At the piont of a sword?" Told you they were BFF's. beckett: "Bargain." Then he walks over to a really safe wooden box opens it and gets out, "Letters of Marque. You will offer what amounts to a full pardon Jack will be free, a privateer in the employ of England." Will: "Somehow I doubt Jack will consider employment the same as free." Cutler Beckett: "Freedom. . . Jack Sparrow is a dying breed. The world is shrinking. The blank edges of the map filled in. [Actually you just found two new continents. I don't know if you could say that.] Jack must find his place in the New world or perish. Not unlike you Mr. Turner. You and your fiancee face the Hangmans noose. [Will's thoughts: Nooo. I totally forgot my wife and I are abou to di a horrible death.]" Will : "So you get Jack and the Peral? " Cutler: "The BlackPearl?" Will: " The property you want that he possesses. " Beckett: "A ship? Hardly. The item in question is considerably smaller a far more valuable, something Sparrow keeps on his person at all times. A compass." And so the quest begins. 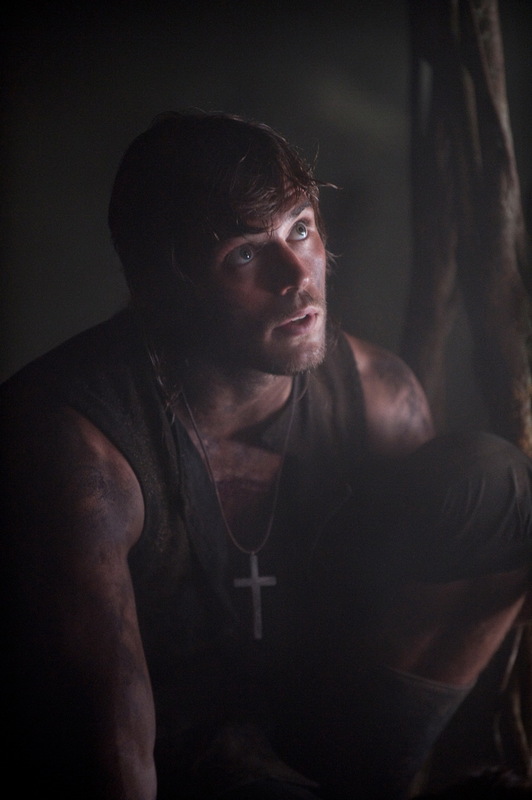 Will will now det off to find Jack and get the compass (Iknow I just said will will). But little does anyone know much more is at stake than Elizabeth and Will's life. . .